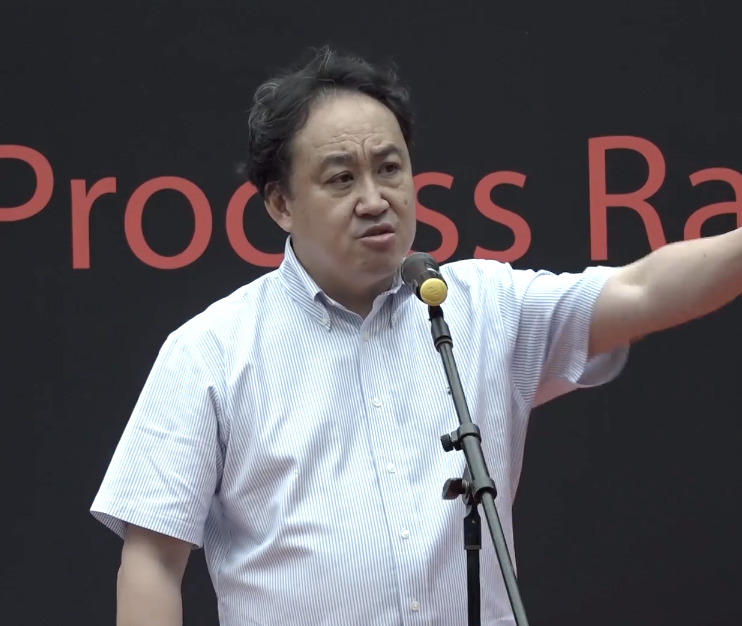 Singapore – On January 26, Saturday, lawyer and politician Lim Tean gave a speech at the Abuse of Process Rally held at Hong Lim Park. He started out his speech by thanking everyone from the bottom of his heart for attending the rally and mentioned the line-up of speakers such as Brad Bowyer from the People’s Voice Party, Tan Kin Lian former NTUC Income CEO and Leong Sze Hian, a blogger being sued by Prime Minister Lee Hsien Loong for sharing an article on his Facebook account. He also added that he is the lawyer of Leong Sze Hian on the defamation case. Mr. Tean spoke a bit on the abuse of process in relation to his client’s defamation case and connected it with the story of Rosa Parks and her stand against segregation back in the 1950s. “Leong Sze Hian is our Rosa Parks, albeit of a different gender. Because what he is doing today in Singapore is what no one has done before”. “Until that fateful day when all of us will meet in court and the truth will emerge.” He added that this case is a seminal case in Singapore history, which will define the character of the country. He quoted Winston Churchill by saying “Courage is the first of all human qualities because it is the quality the characterises all other qualities” in relation to Leong Sze Hian’s stand on his right of freedom of expression. He talked about the origin of the word “meritocracy” which was coined by a British member of Parliament in 1958 named Michael Young who wrote from the perspective of an academic in 2034. Mr. Young was satirically writing of a dystopian system wherein intelligence and merit fuel the society instead of divisions in social classes but creating a danger of one social class becoming invincible to others. Ironically this satire has been adopted by the PAP to be the nation’s ideology. The United Nations, as mentioned by Mr. Tean, has categorised Singapore to be the world’s second-most unequal society. The politician also touched on the data breach and the nine deaths of NSmen in the last 16 months with things not improving. In a Facebook post, Lim Tean thanked everyone for making the rally a great success. Netizens were greatly moved by his speech and expressed their reactions through the comments.